Monthly subscription boxes are a convenient, helpful, affordable and fun way to discover new products and keep your look, your closet, and your pantry fresh, all while getting to skip the hassle of shopping! Whatever your needs–grass-fed meat delivery? 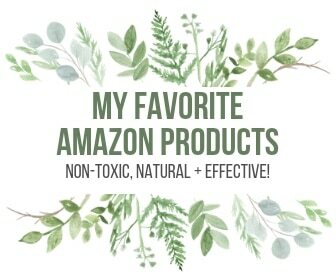 Non-toxic beauty products? Women’s hormonal support? Meal kit delivery? Superfood Smoothies?–this roundup of the best monthly subscription boxes has you covered! Even better–they’re all healthy! The number of monthly subscription box services has exploded over the last few years as our busy lifestyles demand convenience as a top priority. 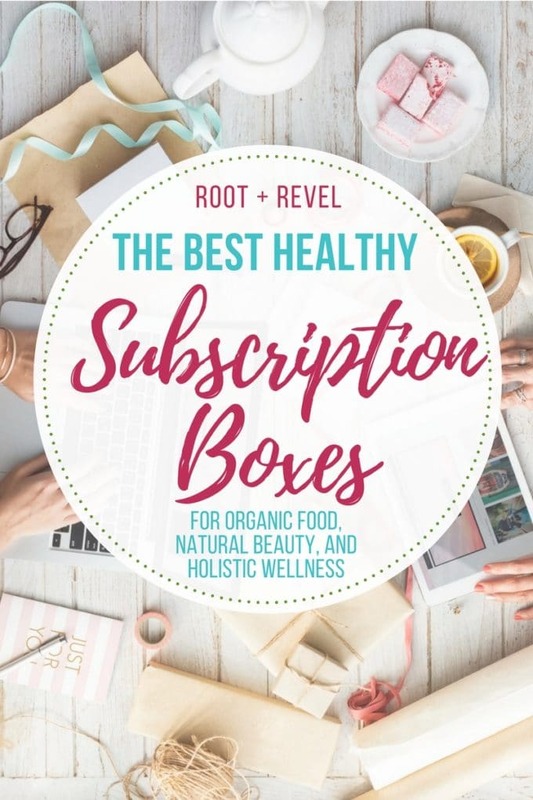 At first, I was annoyed by the trend (as I am with most crazes)…but once I really thought about it, I realized subscription boxes weren’t just a fleeting fad. They were filling a serious void. It’s fun to receive packages with surprises in the mail! To wit, I’ve round up the best monthly subscription boxes for a healthy lifestyle below! 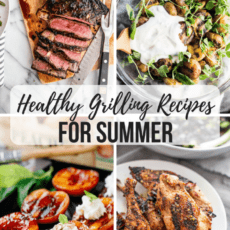 RawSpiceBar: Y’all know one of my favorite ways to make healthy food super flavorful is by using tons of spices, herbs and seasonings! Well, RawSpiceBar is the best way to get freshly ground, transparently sourced spices from around the world. They send small batch, recipe-ready spices, spice blends, herbs and finishing salts. They also offer gift sets and spice storage options. It’s a great way to try new spices while keeping your spice pantry super fresh! 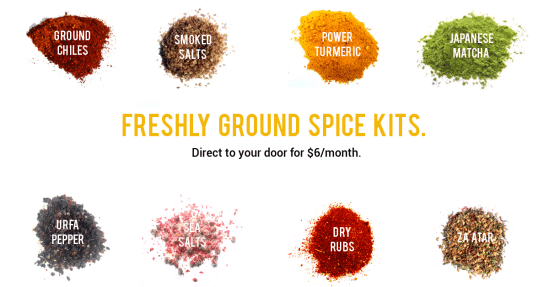 You can buy a-la-carte or sign up for the quarterly subscription, where every 3 months you’ll be delivered new spices and flavors (6 per box) with easy, seasonal recipes for all diets. Right now, the seasonal quarterly box includes organic cassia cinnamon, pumpkin pie spice, greek seasoning, garam masala, tandoori masala and shichimi togarashi. 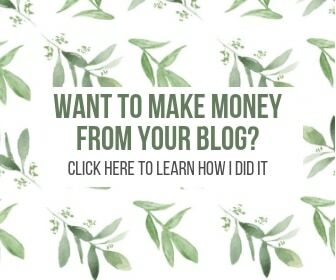 Try out RawSpiceBar by clicking here! 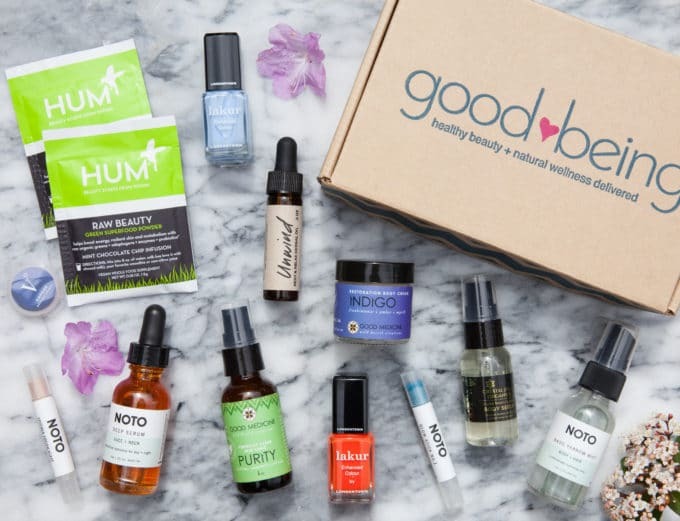 LOVE GOODLY: This subscription box is my favorite way to find new natural beauty and skincare products for a minimal cost. Here’s the deal: every other month, LOVE GOODLY sends subscribers 4-5 cruelty-free, natural, vegan products, including a mix of full-size products and deluxe samples of non-toxic beauty and skincare, healthy snacks, wellness items and eco accessories. Each box provides an amazing value – always over $85+! 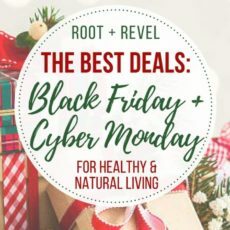 – and they also have an online shop where you can purchase hundreds of safe, natural products from brands like 100% Pure, Garden of Life’s mykind Organics line, Pacifica, Pukka, Vega, Vaute Couture and many more! Bonus: Every purchase also supports one of their cause partners, including Farm Sanctuary. 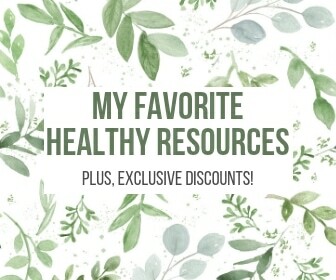 Love Goodly put together a special deal just for R+R readers! Sign up here with the code LOVEROOT and receive $5 off your first + second boxes, plus get 2 special free BONUS beauty gifts each valued at $15+ (this one in your first box + this one in your second box). 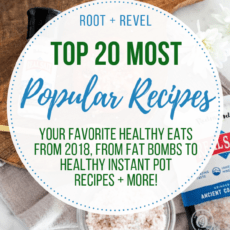 Or, simply save 20% on your order with the code ROOTREVEL20. Plus, ships FREE to the USA! Daily Harvest: This amazing subscription service delivers delicious, nutritionist-created superfood eats to your door including smoothies, activated bowls, soups and even sundaes! They make healthy eating easy with pre-portioned cups that you just have to pop in your freezer and then, when you’re ready to eat, they’re ready in 30 seconds. Just add liquid and blend, soak or heat on your schedule. No prep, no mess! Plus, their ingredients are always picked at peak maturity, then flash frozen to maintain farm-fresh nutrient density and flavor – all without using preservatives or adding sugar. This means that these cups aren’t just convenient and beyond tasty, but are ultra healthy and nutritious! My favorites: Pineapple Matcha Smoothie, Blackberry + Majik Chia Parfait, Mulberry + Dragonfruit Overnight Oats, and Tomato + Zucchini Soup with Black Garlic + Rhodiola. Frequency: Hand pick any combination of eats you want in your choice of a monthly 24-cup plan, or a weekly 6, 9, 12 or 24-cup plan. Cost: Depends on how many cups/week you want, but prices range from $6.99-$7.99 per cup. Give yourself a superfood boost and get started with Daily Harvest by clicking here! UrthBox (formerly Conscious Box): This box is a great way to discover healthy new foods, snacks and beverages delivered right to your door – including everything from chips, granola, superfoods, crackers, juices, dried fruits and vegetables, sweets and chocolates, snack bars and more! I love how all their products are 100% GMO-free, organic and natural. 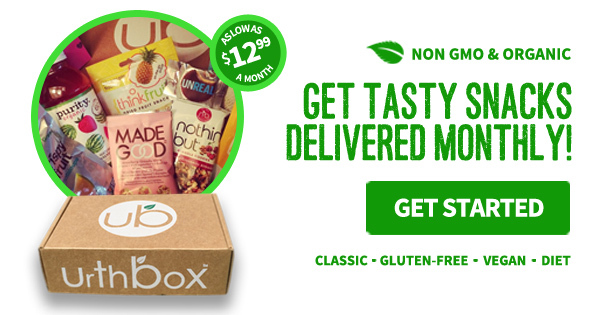 Customize your box by picking between Classic, Gluten Free, Vegan and Diet options, including brands like Jackson’s Honest, Nutiva, Cocomels, Bai, Boom Chicka Pop, Ciao Bella, Dang, and countless more. Receive up to 30 full-size products per box at up to a $100 value! Enjoy $10 Off a Tasty Snack Box From UrthBox when you use this link! Sun Basket: My hands-down favorite healthy meal delivery service is Sun Basket. Sun Basket delivers organic, sustainable ingredients and delicious recipes to make cooking at home fun and easy. Meals are ready in about 30 minutes, no meal planning or grocery shopping required! I’ve tried many different meal delivery services and SunBasket stands out far and above the rest. Why? They’re one of the only organic meal delivery services and they source their meat and seafood from sustainable farms and fisherman. The packaging is 100% recyclable and compostable. There’s a wide variety of meal choices each week, and they offer Paleo, Lean & Clean, Gluten-Free, Vegetarian, and Family meal plans. Most importantly, the food is actually delicious! Cost: Varies depending on meal plan selected + number of meals ordered, but from $9.99-$11.99 per serving. Try Sun Basket for yourself and get $35 off your meals here! Got a family to feed? They also offer 50% off their family plans here! Butcher Box: If you prefer to use your own recipes, rather than follow a meal kit, but you still want high-quality meat, then you gotta check out Butcher Box. It’s a monthly subscription service that delivers an awesome selection of humanely raised, hormone- and antibiotic-free cuts direct to your door, including 100% grass-fed and grass-finished beef, free range organic chicken and heritage breed pork. If you have trouble finding high quality, healthy meat near you – or if you want to skip the shopping and have the convenience of knowing that each month you’ll have a new assortment of carefully curated meat from small farms automatically delivered (and all in one eco-friendly box!) – then ButcherBox is for you. Plus, it’s super affordable, and shipping is always free (to the continental 48 states). 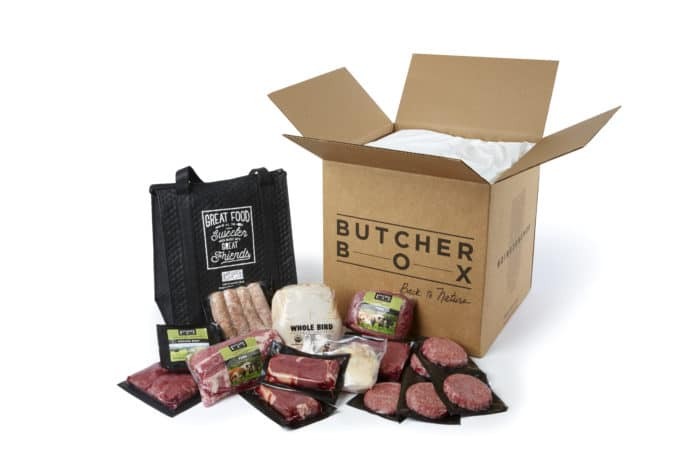 Find out more and sign up for Butcher Box here. Good Being delivers natural healthy beauty and wellness products, personalized! Each month you’ll receive a box customized to your beauty profile (so each box will have some variation between subscribers) valued at $122+. First, choose between either a beauty box or lifestyle box. 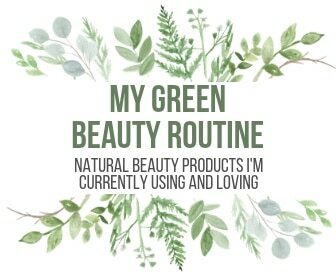 The beauty box features face, body and hair care, makeup, nail color, serums and accessories, while the lifestyle box includes some beauty items plus personal care, supplements, superfoods and non-toxic living goods. Next, choose a mini box (2 items) or a standard (4-5 items). With the standard, you get to hand pick two of your products each month. They carry a large number of brands including Airbiotics, Mychelle Dermaceuticauls, Gypsy Soul, Z Cosmetics, Andalou Naturals and Noto Botanics. Sign up for any regular membership Good Being box here with the code ROOTREVEL and get a FREE bonus sample item in your first box! 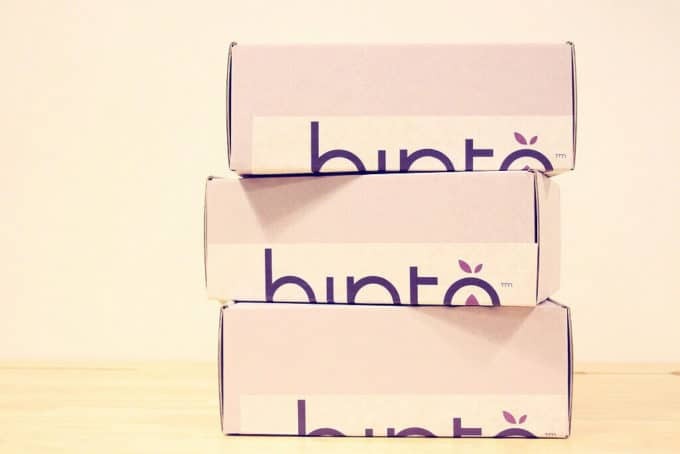 BINTO is a women’s health lifestyle company whose mission is to help women get safe and effective products they need every month to support their health, from top quality supplements to organic, chemical free tampons. Created by a nurse and infertility specialists, all products are personally curated to match your needs, including period, hormonal, fertility and prenatal support. You can get one-on-one advice from your BINTO health professional at any time, and they continue to grow with you by matching your body’s changing needs with the right products each month. This is an amazing service to ensure you’re taking care of yourself and getting only the products you need, and nothing you don’t. BINTO has their own line of organic, expert-formulated supplements in grab-and-go, BPA-free packaged daily packs, including a variety of vitamins, probiotics and antioxidants. Get started with BINTO now by filling out your personal survey! Over to you! What are your favorite monthly subscription boxes? Let us know in the comments below! « Previous PostWhole Foods Amazon Merger: Helpful or Harmful? This is such a fun compilation! I don’t have any monthly subscription boxes right now but really want to try Love Goodly and Raw Spice Bar! Thanks for sharing.